Former central vigilance commissioner P J Thomas has decided to move the Supreme Court seeking review by a Constitution bench of its March 3 judgment quashing his appointment, claiming that judiciary has no right to decide his eligibility for the post without prior reference from the President. His counsel Wills Matthews said that Thomas was waiting for the Centre to file a review petition and in the event of it not being filed the former CVC would file it before April 2. A review petition has to be filed within 30 days of the judgment. 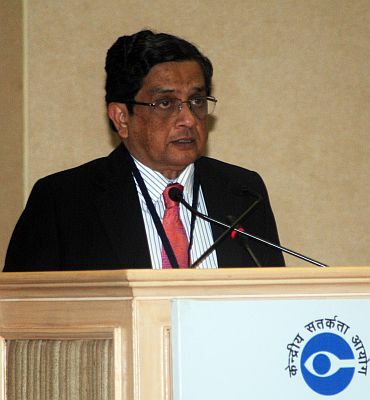 On March 3 the Supreme Court quashed the appointment of Thomas as the CVC, holding that the recommendation made by the high-powered panel --headed by Prime Minister Dr Manmohan Singh -- did not consider the relevant material and therefore its advice "does not exist in law". Thomas, in his review petition, has submitted that the apex court should not have quashed his appointment without first allowing him to establish his innocence or otherwise in the Palmolein case. "The Supreme Court is having the power to initiate the proceeding for the removal of CVC, only on a reference made to by the President, and as such there in no reference of Her Excellency the President of India in the present matter, and hence, I fear whether the Honourable Supreme Court exercised jurisdiction on an issue in which it was not having the jurisdiction," Thomas said. "This point requires further research and we are studying this issue. In case the court exercised the power, which it was not having, it is a void abinitio matter," Thomas said. 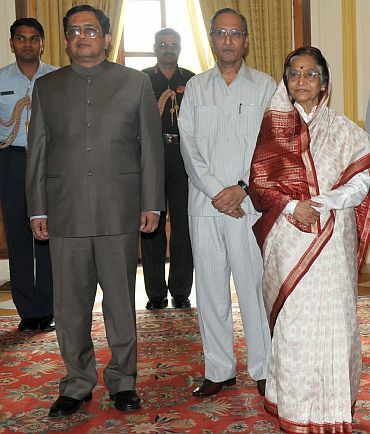 "In every fairness these issues require reconsideration and I am of the definite opinion that the Office of the President of India cannot be treated as a rubber stamp, and while interpreting the provisions of the provisions of the Constitution connected with the powers of the President of India, the CVC Act, the court cannot go against the basic structure of the constitution. The Constitution is supreme," the former CVC contended. The apex court in its judgment quashed Thomas' appointment on the ground that it was "non-est" (illegal) in the eyes of the law and upheld the PIL filed by the Centre. Thomas said his review petition has to be considered by a larger Constitution Bench in the light of Article 146 (3) under which the minimum number of judges who are to sit for the purpose of deciding any case involving a substantial question of law as to the interpretation of this constitution or for the purpose of hearing any reference under Article 143 shall be five. "Whether the Supreme Court was correct in reaching conclusions based on the Palmolein case, without going into the merits of the case at the time of arguments observing that 'we are concerned about future appointments'," the petition asked. 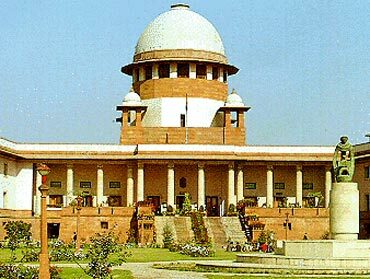 According to the petition the Supreme Court was duty bound to appreciate the fact that the FIR in the Palmolein oil case is more than 20 years old and Thomas was prevented from taking steps for quashing the proceedings due to the stay granted by the apex court. He submitted that quashing the appointment resulted in miscarriage of justice not only to him, but also to all civil servants of the country "because the mere lodging of an FIR is sufficient to stop a honest officer from taking charge of the coveted post and shall spoil his career prospects. 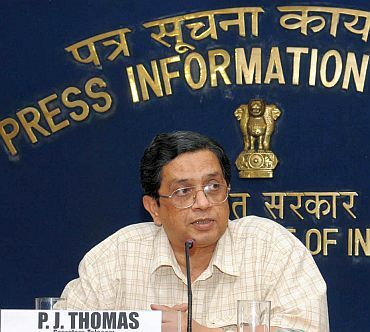 Thomas stated that the apex court failed to consider the danger of condemning a honest officer only on the presumption of guilt without trial and without appreciating the fact that it will demoralise the entire officers working in similar circumstances and it can also affect their discharge of duties with out fear and favour. Who doctored P J Thomas's bio-data?